Miller Frishman Group has over thirty years of experience acquiring, owning and managing multifamily apartment communities. As a privately held company, Miller Frishman Group is able to move quickly when properties meet a strict set of investment criteria and adhere to the conservative investment philosophy. Miller Frishman Group targets newer, stable, and strong cash flowing deals in rapidly growing markets, striving to deliver above-market returns. These assets are typically underperforming due to a myriad of reasons ranging from current management issues to major deferred maintenance and aesthetic issues. 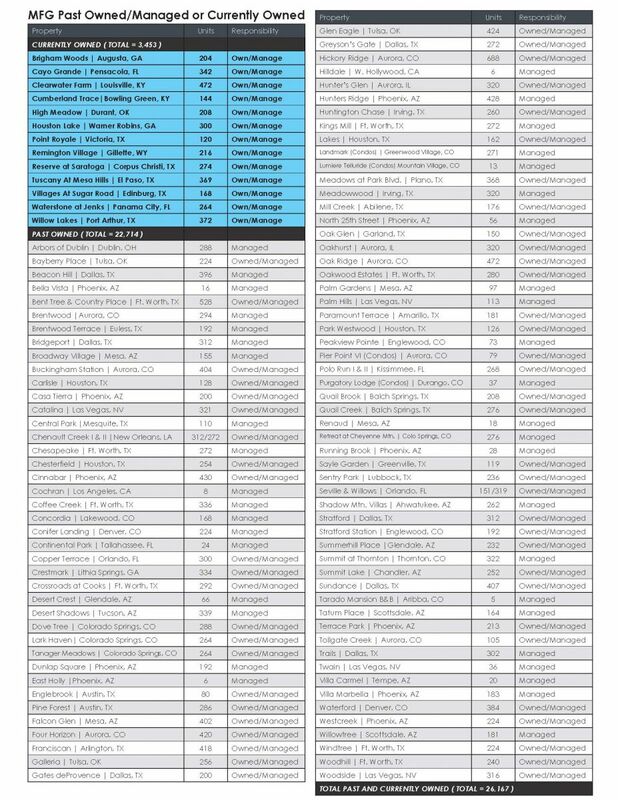 Since the early 80s, Miller Frishman Group acquired in excess of $2 billion dollars of real estate representing over 26,000 apartment units, consistently producing noteworthy returns. 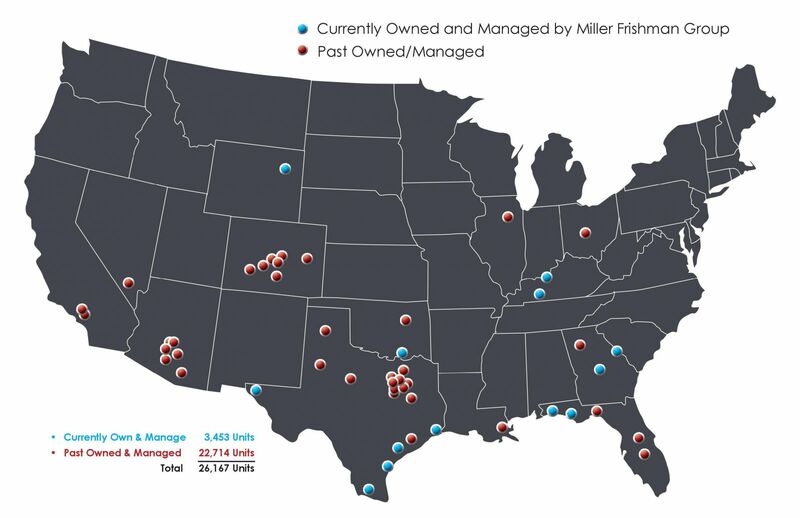 Miller Frishman Group has amassed a current portfolio of nearly 3,500 units and has maintained very strong individual property performance throughout the portfolio. For more information or to have a property considered for acquisition, please feel free to submit an e-mail or call. The firm will quickly evaluate opportunities presented and respond rapidly.